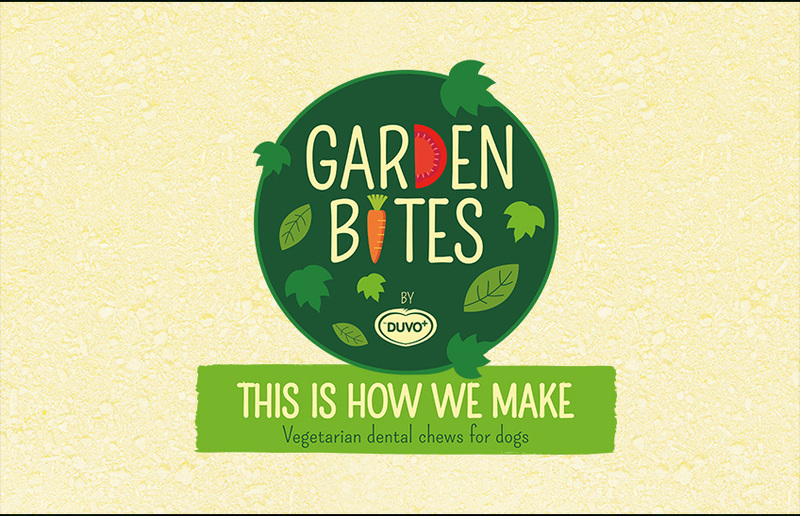 The Duvo+ Garden Bites are an ideal vegetarian reward or snack for your dog. They are 100% gluten-free and contain no less than 55% sweet potato. Sweet potato is a valuable supplement in your dog’s diet. It is rich in vitamins A, E, C and B6 but also in calcium, iron, folic acid and more. The flavour makes these snacks completely irresistible! and clean the teeth during play. Available in 5 shapes each in 2 sizes for small & large dogs. you can buy single products which you can find in the Garden Bites displays. 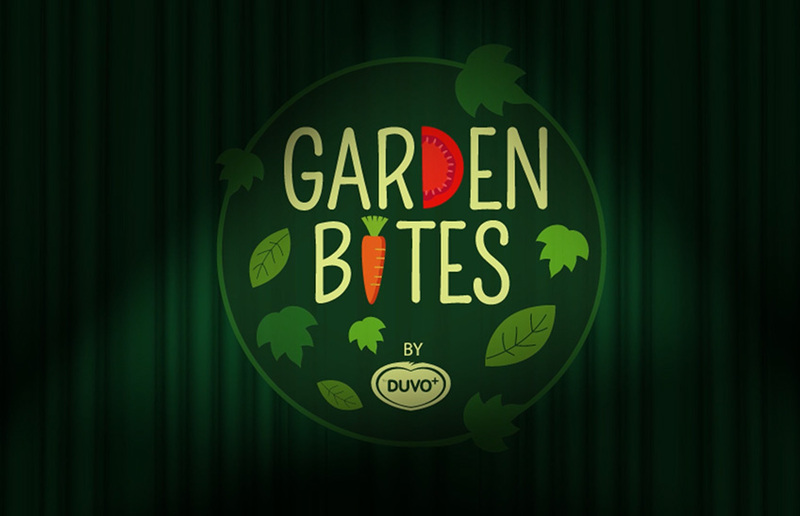 Watch here how we make the Garden Bites! 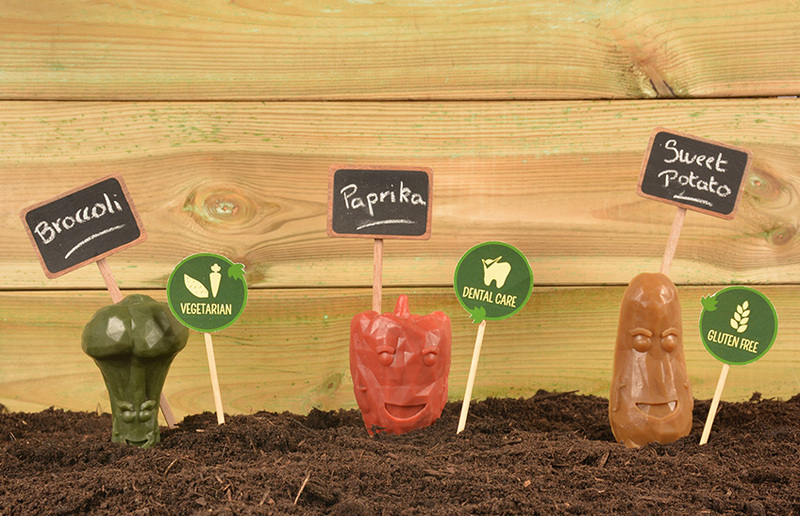 Your host, Toby Toothbrush, will present you our Veggie Friends: Brody Broccoli, Patsy Paprika and Suzzy Sweet Potato! They are just veggielicious! pet supplies specialist Laroy Group.